The main goal of the maiden launch is to test out the MX-1’s performance and capability on the lunar surface. 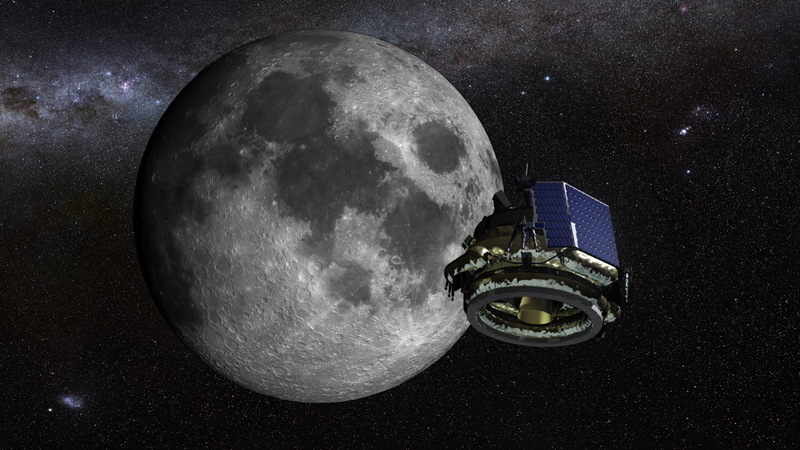 Moon Express representatives also hope to win the Google Lunar X-Prize, a $30 million competition to land a privately funded robotic vehicle on the moon by the end of 2017. 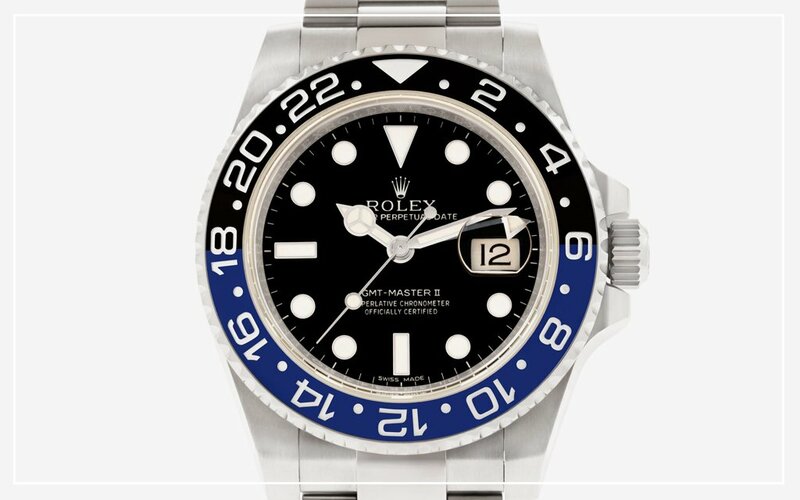 What makes a Rolex GMT-Master special? The moon, for starters. Apple wrist products, smartphones and Fitbits notwithstanding, actual watches are cool again. And the backstories are often even cooler. We’ve teamed up with vintage and pre-owned watch dealer Crown & Caliber to bring you the origin tales on five of the most iconic timepieces. These are stories that involve war, polo and a surprising amount of space travel. Read on. You’ve got time. Everybody knows the story of how Pan American World Airways, the pioneers behind the intercontinental flight of the same name, got together with Rolex to design the GMT-Master. 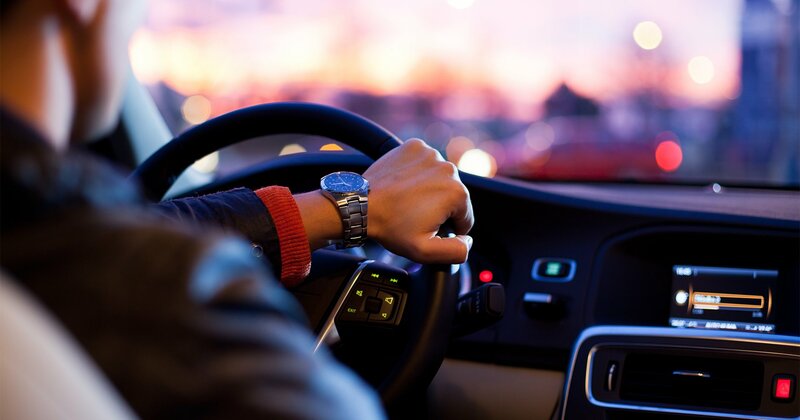 They tackled the project so their pilots could maintain a regular sleep schedule and not fall asleep at the wheel. But that’s old news. The real dirty little secret of the GMT-Master is that at least couple of them made it to the Moon. Jack Swigert wore one on the Apollo 13 mission (you know, the one during which the command module almost blew out from under Swigert, James Lovell, and Fred Haise; pretty sure they made a movie about it). 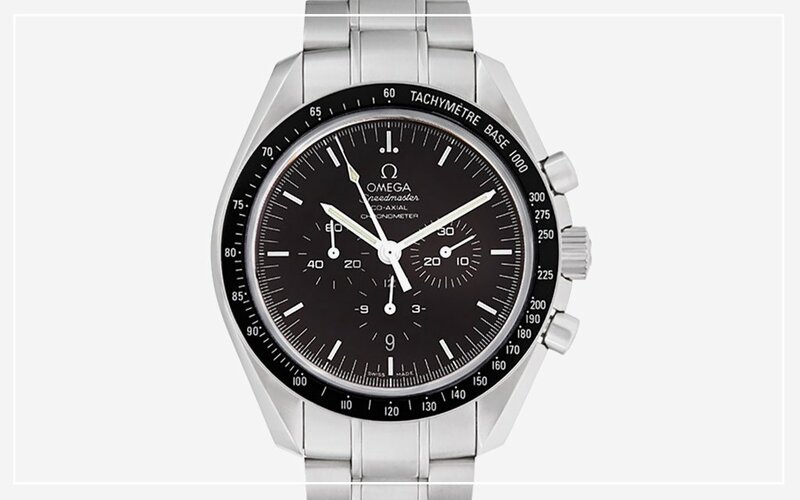 Some claim it was the GMT and not the NASA-authorized Omega Speedmaster that Swigert used to time critical rocket burns as a crippled Apollo 13 limped home. That one hangs on a plaque at Rolex HQ. And several missions later, Apollo 17 Commander Ronald Evans wore his GMT-Master clear down to the lunar surface, albeit under his space suit. There it stayed for a little over three days. When he got home, he took his buzz-pencil and hand engraved the case back with “FLOWN ON APOLLO XVII 6-19 DEC 72 ON MOON 11-17 DEC RON EVANS.” The watch sold at auction in 2009 for $131,450. Not bad for an illicit piece of history, eh? 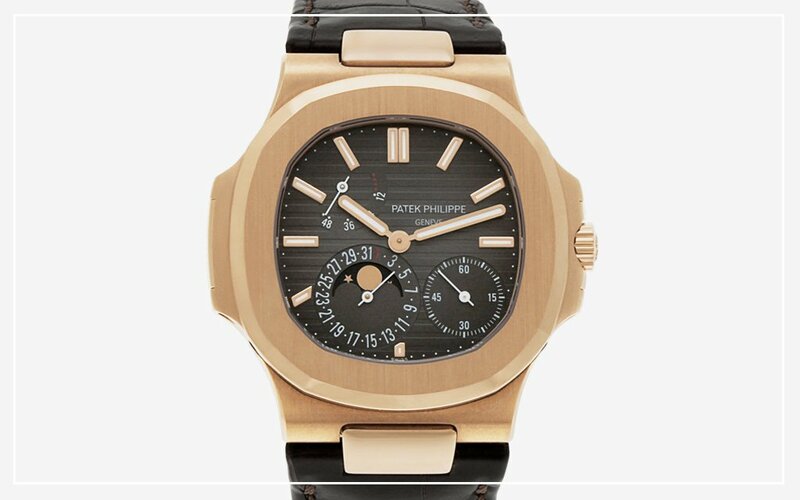 Patek Philippe commissioned famed watch designer Gerald Genta to design this one in 1974. Even though he’d done thousands of watch designs in his career, at this point he was fresh off designing the Audemars Piguet Royal Oak. One imagines he must have been a little tapped out in the inspiration department. He was eating lunch during a break in the 1974 Basel Watch Fair when inspiration finally struck. 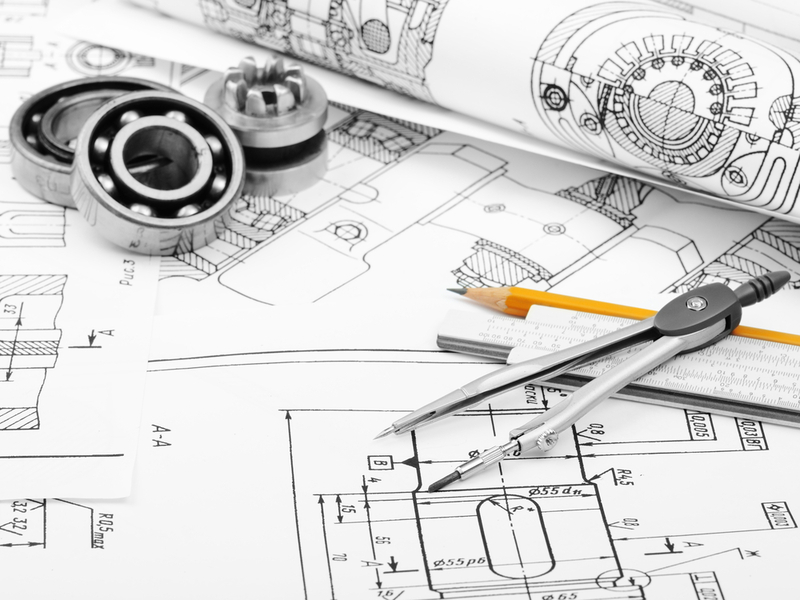 He borrowed a paper and pencil from the waiter and did the first sketches of what would become the Nautilus in about five minutes. You can guess by the name of this watch that it’s got a spacefaring background. When Korean air combat veteran Scott Carpenter was selected for the Mercury space program, he realized he’d be orbiting — and going through day/night rotations — so fast that he could lose track of whether it was day or night back at Mission Control in Houston. 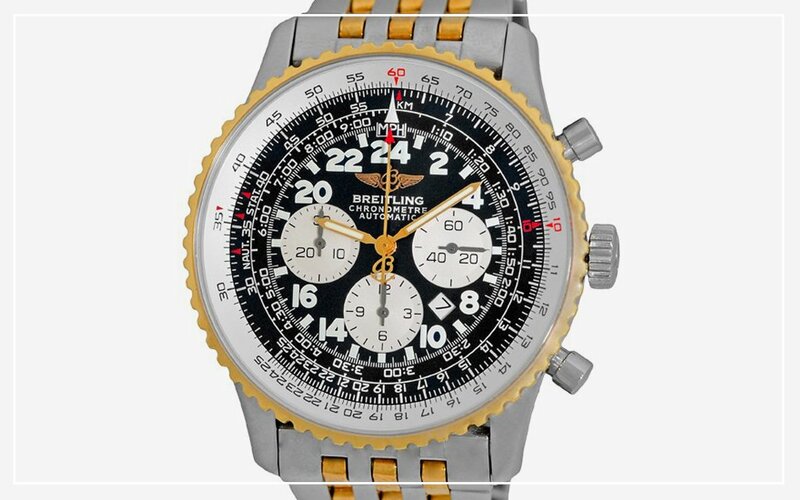 So he went to his buddies at Breitling and discussed the problem. The solution was a watch with a 24-hour dial: the Cosmonaute, based on Breitling’s famous Navitimer platform. Carpenter’s was delivered to him a mere three weeks before his mission. Although his Mercury Aurora Seven mission only lasted five hours, the watch functioned well in space. Unfortunately, upon splashdown and recovery, Carpenter dipped his watch hand in the sea and the non-water-resistant watch was toast (the Navitimer was notorious for its lack of water resistance). Here’s where the story gets interesting. NASA apparently sent it back to Breitling for repair, but it was never returned. No one has seen that particular watch in 54 years. But the Cosmonaute is still being produced today. A sport watch refers to a diver or other ticker made for exploration. And the Jaeger LeCoultre is probably the original sport watch. 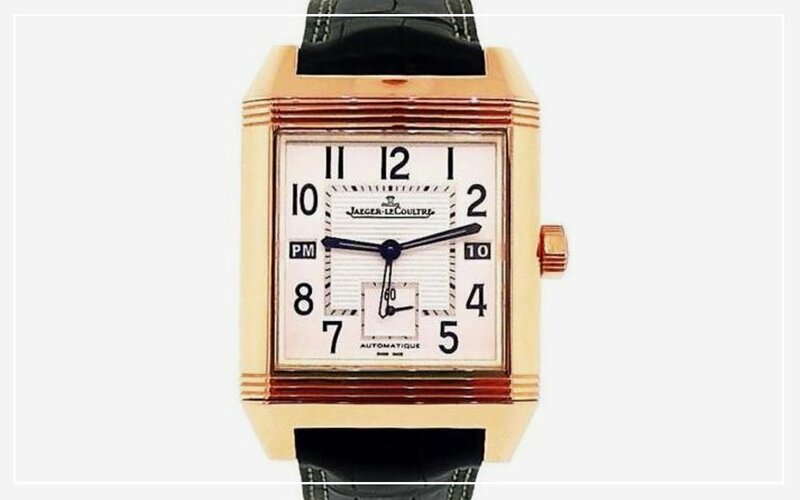 In 1930, an executive of the forerunner to JLC was in India on business. He was approached by an army officer who played polo in his spare time. It seemed the officer kept breaking the crystals on his watches and needed a solution. The watch executive considered the problem and discussed it with his associates back in Switzerland. The Reverso, a watch with the case that can flip over to protect the dial side and crystal, is what they came up with. It has seen size changes and dozens of versions in the 85 years since it debuted, but the base model is remarkably like the one that first saw the light of day in 1931. Ah yes, the Moon watch. Originally conceived in the late 1950s as a racer’s watch (and said tales about the Rolex GMT-Master notwithstanding), the Omega Speedmaster is the official Moon watch — as designated by NASA. One still goes into space on nearly every U.S. astronaut’s wrist. The fable goes that NASA engineers went undercover to several jewelers in Houston to buy off-the-shelf timepieces to test for use in space. This story is great, like an actress being discovered in a drugstore at Hollywood & Vine, but it’s generally acknowledged to be untrue. Watch nerds everywhere count at least one Speedy in their collection. Watch blogFratelloWatches pioneered the concept of “Speedy Tuesday” on social media, one day each week where aficionados post photographs of their beloved watches in various poses: the nerdier, the better. Google is upgrading its quantum computer. Known as the D-Wave, Google’s machine is making the leap from 512 qubits—the fundamental building block of a quantum computer—to more than a 1000 qubits. 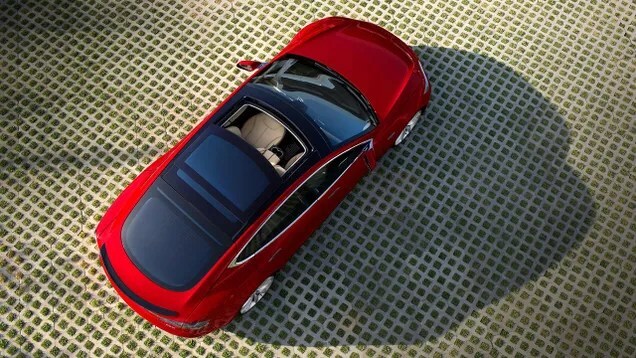 And according to the company that built the system, this leap doesn’t require a significant increase in power, something that could augur well for the progress of quantum machines. Together with NASA and the Universities Space Research Association, or USRA, Google operates its quantum machine at the NASA Ames Research center not far from its Mountain View, California headquarters. Today, D-Wave Systems, the Canadian company that built the machine, said it has agreed to provide regular upgrades to the system—keeping it “state-of-the-art”—for the next seven years. Colin Williams, director of business development and strategic partnerships for D-Wave, calls this “the biggest deal in the company’s history.” The system is also used by defense giant Lockheed Martin, among others. Though the D-Wave machine is less powerful than many scientists hope quantum computers will one day be, the leap to 1000 qubits represents an exponential improvement in what the machine is capable of. What is it capable of? Google and its partners are still trying to figure that out. But Google has said it’s confident there are situations where the D-Wave can outperform today’s non-quantum machines, and scientists at the University of Southern California have published research suggesting that the D-Wave exhibits behavior beyond classical physics. Over the life of Google’s contract, if all goes according to plan, the performance of the system will continue to improve. But there’s another characteristic to consider. Williams says that as D-Wave expands the number of qubits, the amount of power needed to operate the system stays roughly the same. “We can increase performance with constant power consumption,” he says. At a time when today’s computer chip makers are struggling to get more performance out of the same power envelope, the D-Wave goes against the trend. A quantum computer operates according to the principles of quantum mechanics, the physics of very small things, such as electrons and photons. In a classical computer, a transistor stores a single “bit” of information. If the transistor is “on,” it holds a 1, and if it’s “off,” it holds a 0. But in quantum computer, thanks to what’s called the superposition principle, information is held in a quantum system that can exist in two states at the same time. 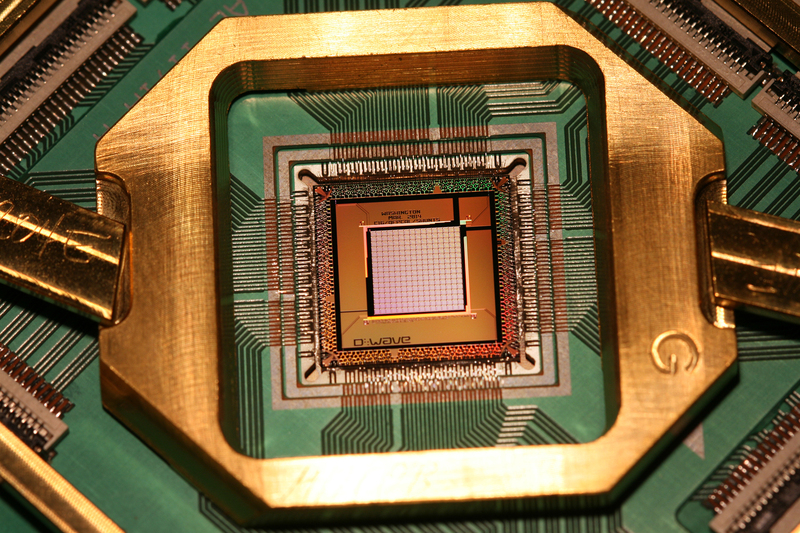 This “qubit” can store a 0 and 1 simultaneously. Two qubits, then, can hold four values at any given time (00, 01, 10, and 11). And as you keep increasing the number of qubits, you exponentially increase the power of the system. The problem is that building a qubit is a extreme difficult thing. If you read information from a quantum system, it “decoheres.” Basically, it turns into a classical bit that houses only a single value. Some have questioned whether the system truly exhibits quantum properties. 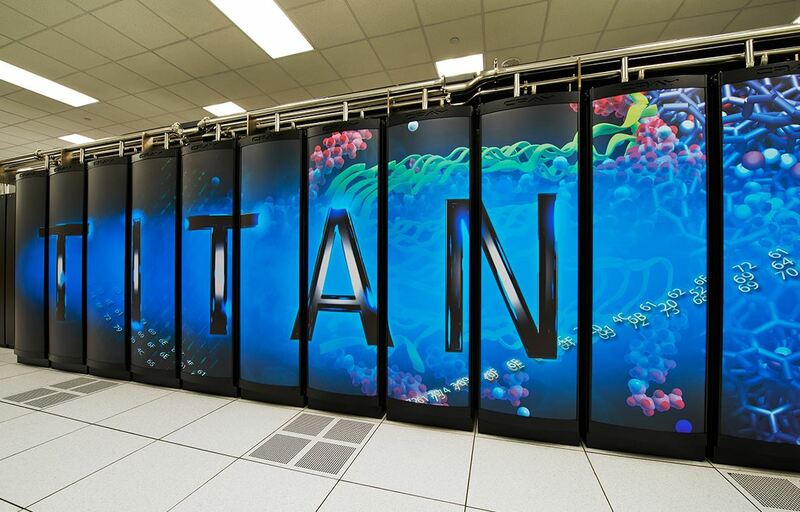 But researchers at USC say that the system appears to display a phenomenon called “quantum annealing” that suggests it’s truly operating in the quantum realm. Regardless, the D-Wave is not a general quantum computer—that is, it’s not a computer for just any task. But D-Wave says the machine is well-suited to “optimization” problems, where you’re facing many, many different ways forward and must pick the best option, and to machine learning, where computers teach themselves tasks by analyzing large amount of data. D-Wave says that most of the power needed to run the system is related to the extreme cooling. The entire system consumes about 15 kilowatts of power, while the quantum chip itself uses a fraction of a microwatt. “Most of the power,” Williams says, “is being used to run the refrigerator.” This means that the company can continue to improve its performance without significantly expanding the power it has to use. At the moment, that’s not hugely important. But in a world where classical computers are approaching their limits, it at least provides some hope that the trend can be reversed. I got up at 5:00 this morning to watch the SpaceX launch. Regardless of how this mission ultimately goes in a few minutes the future of Space Exploration, of course, lies in the private sector.